Happy Monday Wyrdos! Today we are continuing some previews of upcoming Through The Breach products, but today is something extra new and extra exciting! We are taking a look at the upcoming Penny Dreadful Northern Sedition. Northern Sedition is the long-awaited sequel to Northern Aggression! The adventure picks up in Ridley sometime after the calamitous conclusion of the previous adventure. Discontent and rioting are on the rise, and a powerful new faction - the Seditionists - seeks to free Ridley from the influence of both Guild and Union alike. In response to the chaos, the leaders of Ridley have organized the town's first official militia. Like its predecessor, Northern Sedition is strongly influenced by whichever Master is pulling Ridley's strings: Marcus, Pandora, Jack Daw, or Sonnia Criid. Each Master changes the adventure in various ways, switching up the battles and throwing new challenges at the Fated. While Northern Sedition is designed to be played after Northern Aggression, it still functions perfectly well as a stand-alone series of adventures. A few simple flips on a table allow the Fatemaster to determine how Northern Aggression ended without having to play through that adventure, allowing players to quickly jump into the action with Northern Sedition. 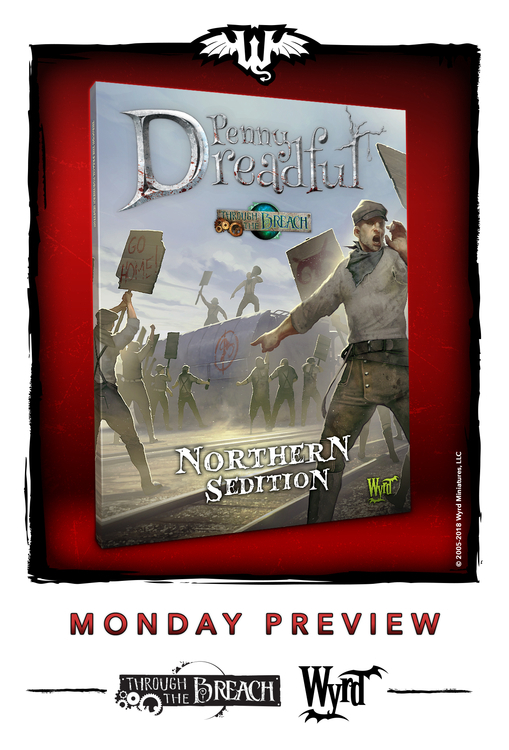 Like all of our published Penny Dreadfuls, Northern Sedition is split into four separate Acts, each one providing a complete session of gameplay. Northern Sedition's conclusion also sets the stage for Northern Destruction, a future Penny Dreadful that concludes the entire Northern trilogy! Having played northern aggression almost two years ago, my friends and I have been waiting for this, any Ideas on what quarter it might come out? One of the most wanted Penny Dreadful ever !!! I hope the .pdf version comes quickly !